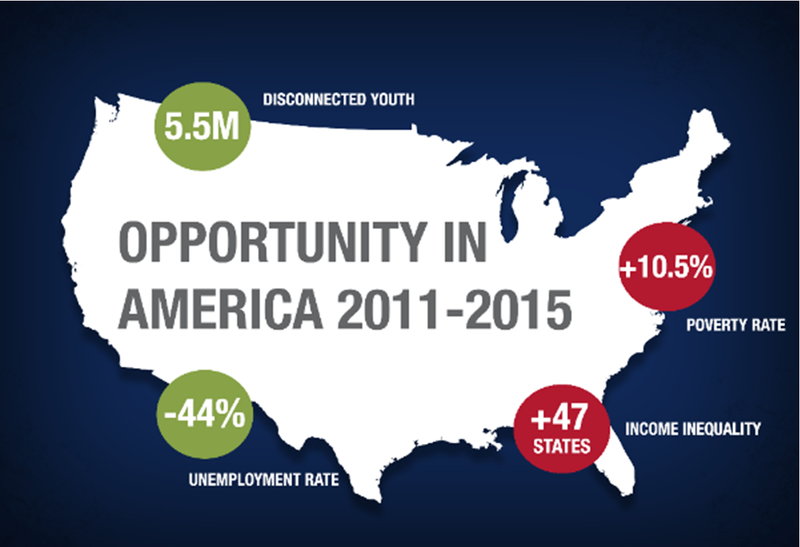 Opportunity Nation released a half-decade view of Opportunity in America. The 2015 Opportunity Index shows that overall while opportunity is up nationwide by 9 percent since 2011, the nation’s ongoing economic recovery is uneven, leaving millions behind. There are higher rates of poverty and income inequality and lower median family incomes in 2015 than there were five years ago. There are 5.5 million disconnected young adults in 2015, a slight decrease since 2011 but still above pre-recession levels.